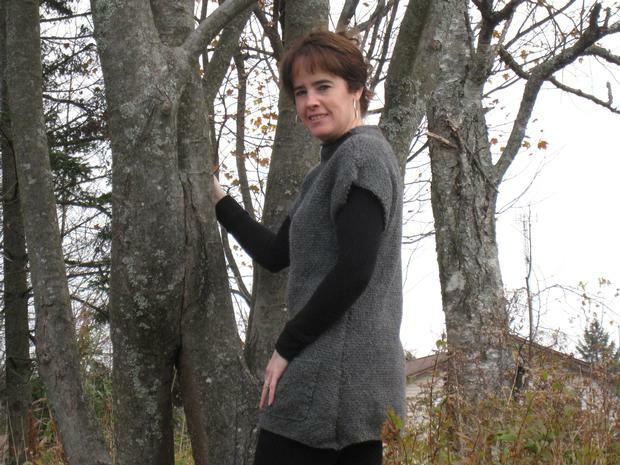 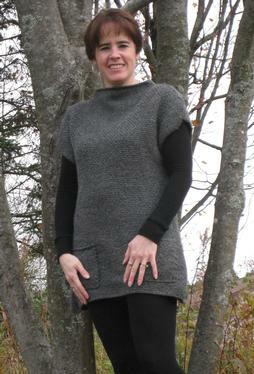 This simple, classic tunic is knit in two pieces and is seamed at the sides. 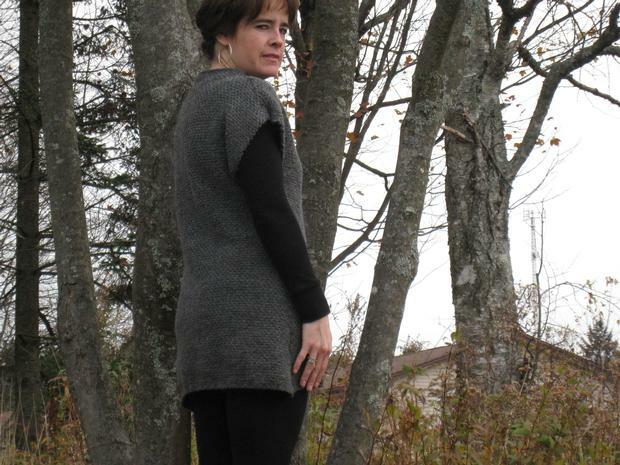 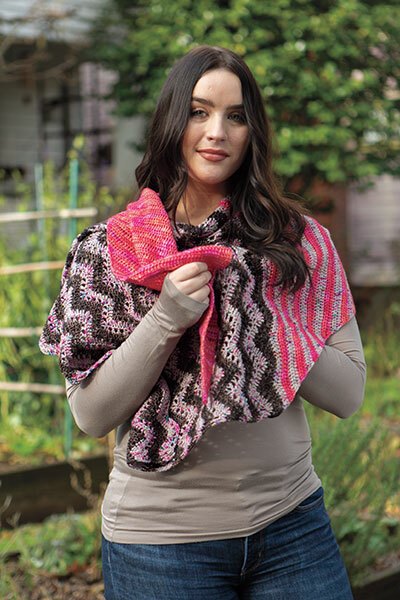 The tunic is designed to be a casual garment, and has a textured stitch (a modified linen stitch) which gives it an interesting pattern and wonderful drape. 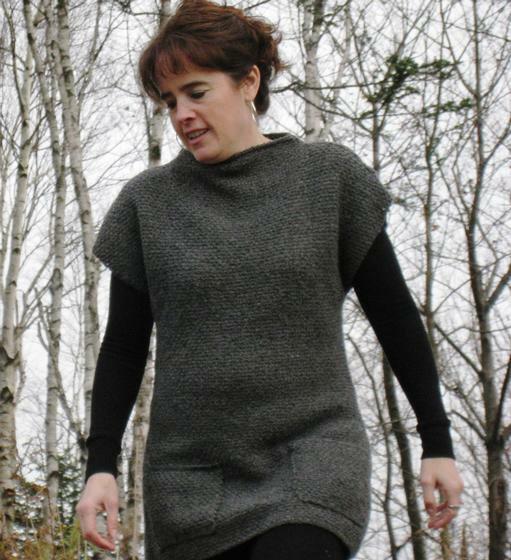 Tunic is designed to be worn alone, over tights like a short dress, or as a long sweater. 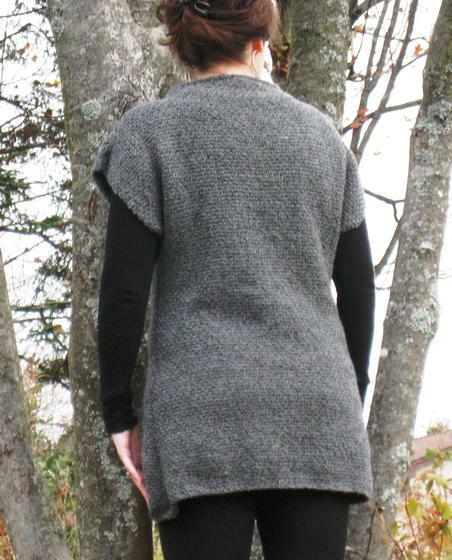 Try it paired with skinny jeans.